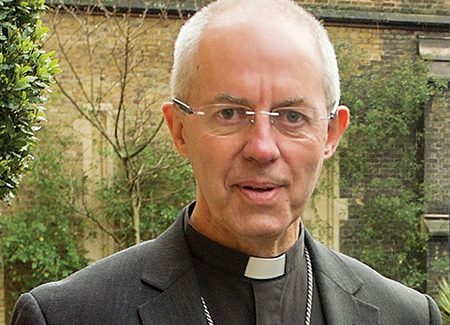 The Archbishop of Canterbury has revealed that he receives prophetic letters every day and that he speaks in tongues during early morning private prayer. What actually happens is that Welby receives a lot of letters from the public that claim to be prophecies from God for him, and he has to discern those that he believes are correct. He also spends time every day praying in tongues – the spiritual gift of an unlearned language that the Bible teaches comes through the Holy Spirit and is available to all believers. The admission was made when the Archbishop of Canterbury was speaking to Premier at the launch of Thy Kingdom Come, now in its fourth year, which has united over a million Christians from more than 65 different denominations and traditions, in more than 114 countries, to pray for evangelisation. It takes place between Ascension to Pentecost which this year is 30 May to 9 June. Welby continued: “It’s very unusual for something like Thy Kingdom Come to gather churches together on such a global basis. I don’t think it’s unique, I think it’s biblical. It started by looking at what the disciples did between the Ascension and Pentecost. The practice of ‘speaking in tongues’ is a phenomenon in which Christians speak in languages unknown to the speaker, or in a ‘divine language’ when praying to God or as an act of worship. ‘Words of knowledge’ and ‘prophecy’ are messages people believe to be revelations given to them by God about people or future events. Both are common practices in pentecostal and charismatic churches such as Holy Trinity Brompton, London, where Justin Welby was a member before becoming a priest in the Church of England.